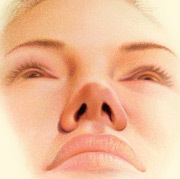 Nose surgery, also known as rhinoplasty, enhances facial harmony and the proportions of your nose. Nose surgery can also correct impaired breathing caused by structural defects in the nose. Nose surgery that’s done to improve an obstructed airway requires careful evaluation of the nasal structure as it relates to airflow and breathing. Correction of a deviated septum, one of the most common causes of breathing impairment, is achieved by adjusting the nasal structure to produce better alignment. 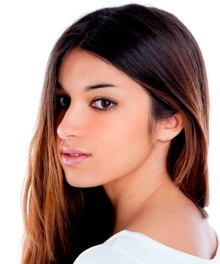 Your plastic surgeon will also discuss where your procedure will be performed. Nose surgery may be performed in an accredited office-based surgical facility, a licensed ambulatory surgical center or a hospital. Be sure to arrange for someone to drive you to and from surgery and to stay with you for at least the first night following surgery. Be sure to ask your plastic surgeon questions. It’s very important to understand all aspects of your procedure. It’s natural to feel some anxiety, whether it’s excitement for your anticipated new look or a bit of preoperative stress. Don’t be shy about discussing these feelings with your plastic surgeon. The decision to have nose surgery is extremely personal. You will have to decide if the benefits will achieve your goals and if the risks and potential complications are acceptable. Your plastic surgeon and/or staff will explain in detail the risks associated with surgery. You will be asked to sign consent forms to ensure that you fully understand the procedure and any risks or potential complications. After your procedure is completed, a splint and/or packing will likely be placed inside your nose and a splint or bandages placed on the outside to support and protect the new structures during initial healing. You will be given specific instructions that may include how to care for the surgical site, medications to apply or take orally to aid healing and reduce the potential for infection, specific concerns to look for at the surgical site or in your general health, and when to follow up with your plastic surgeon. The results of nose surgery will be long-lasting. As your body ages, it is natural to have some gradual changes to your face including your nose. But most of your improvement should be relatively permanent. Prices for nose surgeries can vary. A surgeon’s cost may be based on his or her experience and geographic office location. Many plastic surgeons offer patient financing plans, so be sure to ask. When nose surgery is performed to improve breathing function, the cause is most commonly an obstructed airway. This procedure, whether performed alone or in conjunction with cosmetic nose surgery, is considered reconstructive and may be covered by insurance. This requires a detailed examination to verify the cause of your breathing impairment and prior authorization from your insurer.